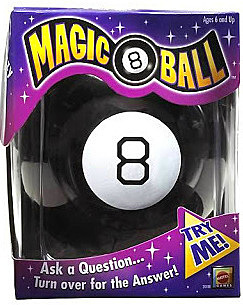 SNEAK PEEK: Paramount Gets Behind "Magic 8 Ball" ? Paramount Gets Behind "Magic 8 Ball" ? 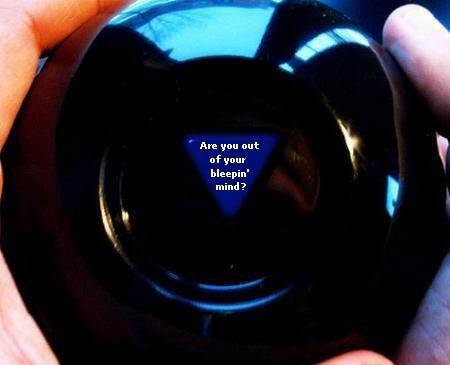 "Magic 8 Ball" was invented in 1946 by Albert Carter, son of a clairvoyant, who marketed and sold the device with Abe Bookman of the Alabe Crafts Company. 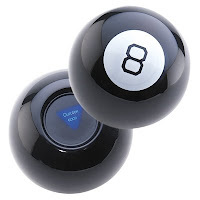 The hollow, plastic sphere resembling an oversized billiard 8-ball, contains a cylindrical reservoir containing a white, plastic, 'icosahedral' die floating in alcohol and a dissolved dark blue dye. 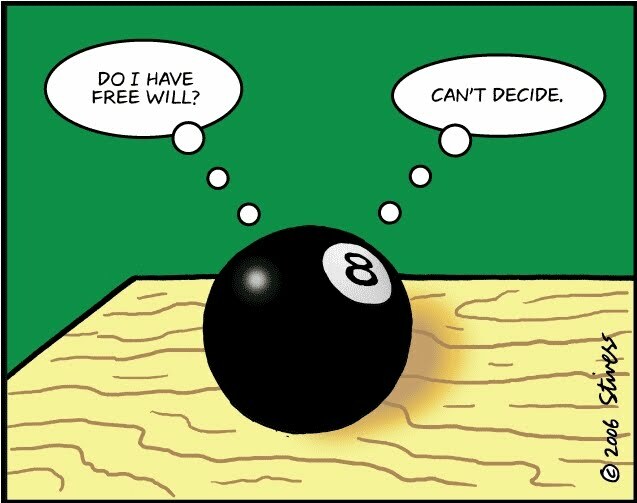 The die is hollow, with openings in each face, allowing the die to fill with fluid, giving the plastic die buoyancy. Each of the 20 faces of the die has an affirmative, negative, or non-committal statement printed in raised letters, with a transparent window on the bottom through which the messages can be read.